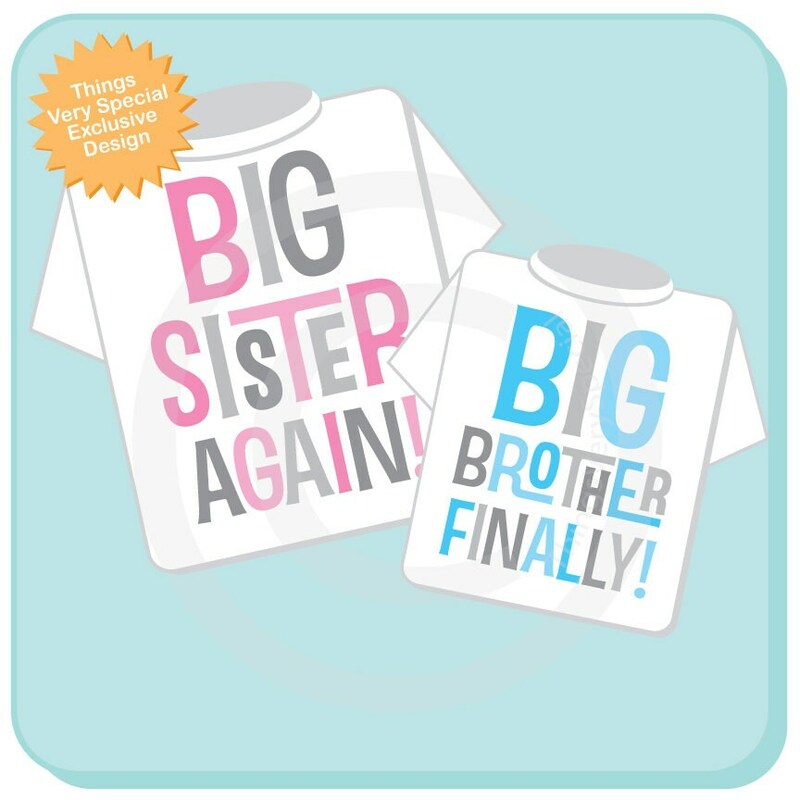 Pink and Grey Big Sister Again and Blue and Grey Big Brother Finally Shirt or Gerber Onesie set of two. This listing is only available for this exact set. 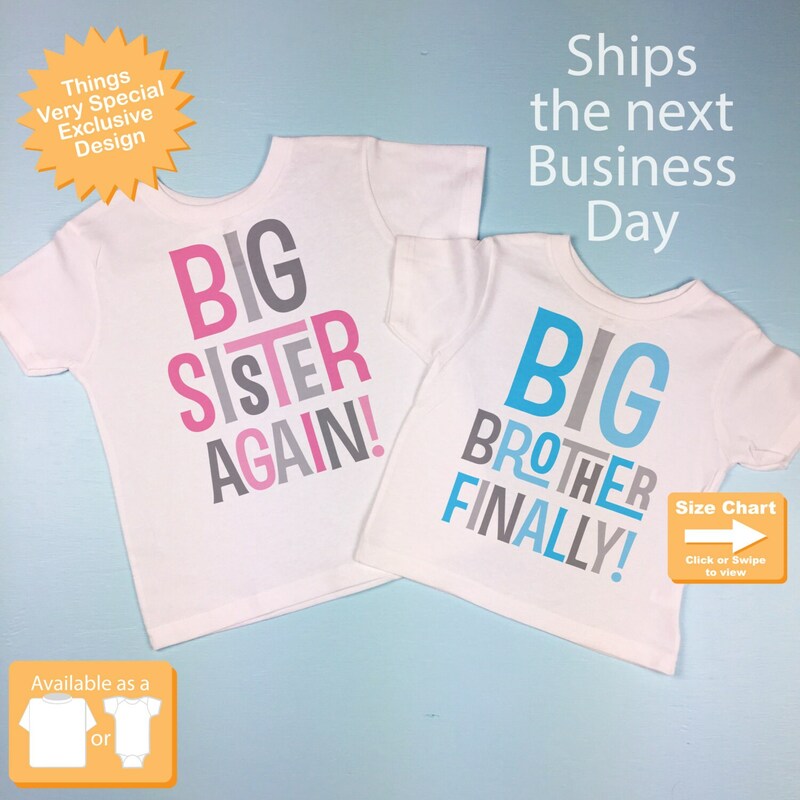 No changes to this wording will be accepted.